WBA interim middleweight titlist Chris Eubank Jr, has vowed to punish bitter rival Gary ‘Spike’ O’Sullivan on Saturday night in London, saying that the Irishman will live to regret his deliberate antagonism across social media in the build up to the fight. 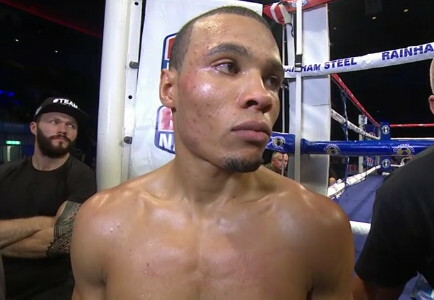 Eubank Jr has deemed ‘personal’ twitter posts from O’Sullivan, that were directed towards his famous father and other family/team members, as a ‘step too far,’ yet the Cork-born fighter insists it was ‘banter’ merely to land the fight, and in that sense, it’s mission accomplished. “For me boxing isn’t a personal thing, it’s a business, it’s a sport, it’s something that I do because I love the sport,” Eubank said to Sky Sports. “For him, he’s used social media, Twitter, Facebook – to put it lightly – to be extremely disrespectful towards me to try and get underneath my skin. “When somebody is disrespecting you continuously, targeting your friends, your family, your fans, it gives you that little bit extra push in the ring, in the gyms, on the roads to work that little bit extra, because you know you’re going to get in there and teach him a lesson,” he added. Should Eubank beat O’Sullivan, then he sits among a division that is hardly lacking in terms of big-name talent, with WBA/IBF champion Gennady Golovkin the consensus champion at the weight, alongside WBO titlist Andy Lee and new WBC champion, ‘Canelo’ Alvarez. The Brighton fighter has been keen to state his intentions to fight all-comers, including Golovkin, though is realistic in his assertions that any potential fight with the Kazakh is at least a year, 18 months away in terms of him being ready for such a step-up in class. Perhaps a logical direction for the Adam Booth/Ronnie Davis trained Eubank to move further toward the top of the world stage, would be a fight with 2nd tier WBA champion, Daniel Jacobs, who fans saw destroy Peter Quillin inside a round at the weekend. Yet Eubank is clear that it’s business first against O’Sullivan before he thinks too seriously about the future, though he issued a clear message for all of the top contenders/his divisional rivals. Previous boxing news: Stevenson: I Want Kovalev Fight Made!